Each year during the springtime on the Sunday that daylight savings time begins, the Orlando Philharmonic puts on a free concert at the Central Park Amphitheater in Winter Park that they call the Spring Pops Concert. The 2015 event will be held on Sunday, March 15th at 6 PM. The 2014 concert was led by conductor Paul Hostetter and was called “Voices of Spring” that featured light classical works and selections from American musical classics by Leonard Bernstein, Leroy Anderson, George Gershwin, Rodgers & Hammerstein and Lerner & Lowe. Featured soloists Natalie Cordone and Shawn Kilgore will perform “The Girl from Ipanema,” “It Might as Well Be Spring” from State Fair, “Oh What a Beautiful Morning” from Oklahoma!, “Do-Re-Mi” from The Sounds of Music, and others. Hostetter is the conductor and artistic advisor for the acclaimed Sequitur Ensemble, the principal conductor of the New York Concerti Sinfonietta, and the founder and artistic adviser to the Music Mondays chamber series in New York City. He has served as associate conductor for the Broadway productions of Candide and The Gershwins’ Fascinating Rhythm, and appears as a guest conductor at opera companies and orchestras across the United States. The Spring Pops concert is a great way to enjoy the extra hour of sunshine as the concert begins during daylight and continues to play through sunset and into the night. 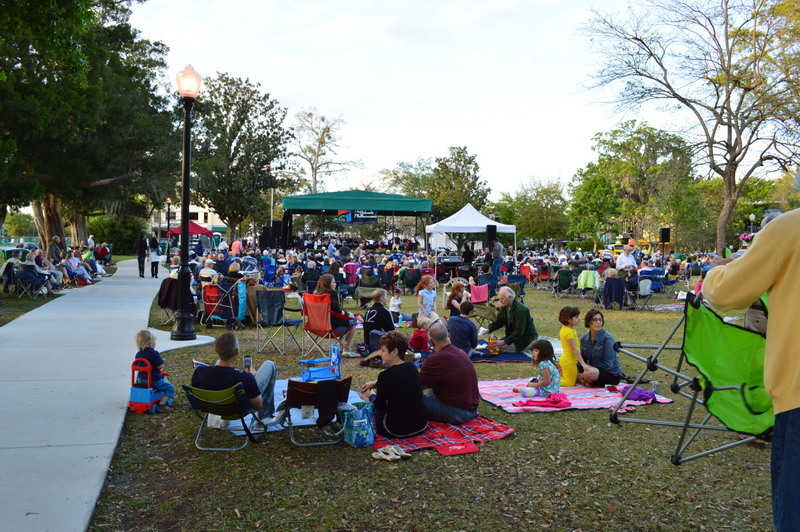 Click here to visit the Orlando Philharmonic website for more information and click here to view the event listing on the City of Winter Park website. Click here to view more events around Orlando that features an orchestra. This entry was posted in Events and tagged annual events, march, orchestra, spring break, winter park. Bookmark the permalink.